Through disc pain diagnosis, the actual cause behind the pain can be verified and further treatment methods (like artificial disc replacement surgery) can be specified according to the patient’s medical condition. The vertebrae are stacks of bones that make up the spine. There are seven vertebrae in the neck (Cervical), twelve in the mid-back (Thoracic) and five in the lower back (Lumbar) region. The spine provides flexibility and movement to our upper body. The bones of the vertebrae have disc-like padding between them and these discs act as shock-absorbers, taking part of the impact of strenuous activities like running and jumping and facilitate easy movement. The discs have a soft inner component and a tougher outer ring. With age, the discs in the spine degenerate and they lose their flexibility and cushioning effect. This can result in disc disorders like cervical disc disorder, and herniated discs, which bring about high levels of pain. Degenerative Disc Disorder is diagnosed in several steps. The patient’s medical history is studied and then the symptoms and duration of the pain are studied. Some physical examinations are then carried out, like spinal examinations, testing nerve functions, neck movements or leg movements. These disc pain diagnosis steps may be enough to confirm the condition and if further confirmation is needed, an X-Ray, MRI or CT scan might be performed to study any damage to the spinal discs. 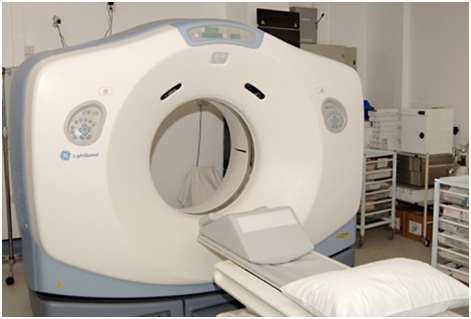 These disc pain diagnosis scans and tests can reveal if there is disc damage or distortion, if any disc has dried up or split or been pushed out. However, evidence of disc damage is not an indication of any disease as such. Vertebral discs do get damaged as part of the ageing process, and most people still continue to physically function well without any discomfort. Only when there is chronic pain that can be associated with disc damage does it actually indicate the presence of a degenerative disc disorder. Disc damage can also be caused by injury or trauma like improperly lifting heavy loads, and sudden strenuous turns or movements that put too much strain on the spine. Once disc pain diagnosis is done with positive results, the patient might be prescribed various types of treatment. Some of the possible treatment options for degenerative disc disease have been given below. Simple conditions can be treated with bed-rest and strengthening exercises on recovery. Hot or cold ice packs may also be prescribed. More severe conditions might require physical therapy and traction. If the pain is severe, anti-inflammatory medicines might be prescribed. Back braces and tractions can sometimes relieve the pressure placed on the spine and help reduce vertebral pain. Chemonucleolysis dissolves a bulging disc that might be stressing any adjacent nerves. Laminectomy relieves nerve compression and reduces the pain. 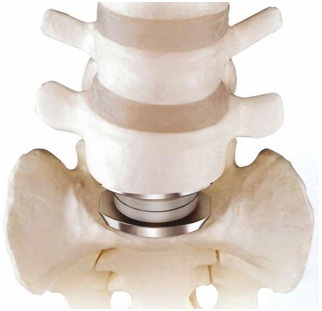 Lumbar Inter-body Fusion (LIF) involves removing the damaged disc and fusing together the two vertebral bones that were separated by the disc. A relatively new procedure called Artificial Disc Replacement is performed, and here the damaged disc is replaced with an artificial disc. Degeneration or deterioration of the vertebral disc is actually a normal process, a part of aging. While in most cases, this does not cause any noticeable negative effects, in some cases the damage or distortion of the disc might be such that it causes physical discomfort and pain. In such cases, the cause of the pain needs to be determined through disc pain diagnosis to determine if spinal disc damage is the cause. If a degenerative disc problem is confirmed, various treatment methods might be prescribed, from ice packs to surgical procedures, depending on the severity of the condition. Patients who suffer from disc pain symptoms often go in for artificial disc replacement after proper medical consultation, and the disc pain causes that bring about these bulging disc symptoms can vary. Degenerative disc disease is one of the main problems that can throw up disc pain symptoms and disc pain diagnosis might indicate a need for artificial disc replacement. Spinal discs are soft discs that separate the bones in the vertebrae. Degenerative disc disease is a term used to describe the changes in the spinal disc that normally occur as a part of the aging process. While this process is normal, and mostly causes no ill effects, sometimes it can cause pain and other complications. Slipped discs, herniated discs, and degenerative disc disease are all loosely interchangeable terms used to describe the pain caused by a damaged disc in the vertebrae. These discs act as cushions or shock absorbers, softening the impact caused on the spine by any strenuous activity or a fall. But, over the years, the elasticity and cushioning effects of these discs might be damaged and they may also get split or ruptured or pushed out. This can cause the disc cartilage and adjacent tissue to tear, causing the inner gel to leak through and place pressure on the spinal cord or a nerve, bring about disc pain symptoms. Cervical disk disorder is neck pain caused by damage to the vertebral discs in the neck region. In cervical disc disorder, the discs become worn out, damaged and cease to provide the cushioning effect. The space between the vertebrae is narrowed, and this can result in pressure on nerve roots. Lumbar is the vertebrae in the lower back region. Injury or strain caused by a twisting motion can cause this kind of disc damage, but a disorder like this is more commonly caused due to the natural ageing process. This is extremely uncommon. The thoracic region lies along the mid vertebrae region or upper back. Generally, it is the neck and lower back regions that get most affected during such a disorder. Changing position frequently helps relieve pain. Degenerative disc disorders manifest themselves in different ways and such a disorder might result in lower back pain or neck pain, or neck stiffness, a general discomfort in the spinal region, reduced flexibility and strength of the vertebral structure. If this condition gets severe, artificial disc replacement surgery might be the best option that can be taken up to counter the disc pain symptoms.